Isaiah King-Cruz/Contributing Photographer Ten different student bands performed at SAPB’s annual Battle of the Bands to compete for a spot at Spring Fling. As the weather gets warmer and the harsh Binghamton winter seems to finally fade away, students look forward to the biggest event on campus every school year: Spring Fling. On Saturday, April 6, students from on and off campus flocked to the University Union Undergrounds for the annual Battle of the Bands, an event run by the Student Association Programming Board. Battle of the Bands allows student bands to showcase their talent in hopes of winning the first or second place prizes: opening the Main Stage or Student Stage during the Spring Fling festival. Bands competed by playing two to three of their own original tracks or covers of their favorite songs. This year, a mix of old and new faces left their mark as Ayche, itsENJ, Riverside, Big Tasty, Cadence, natural born kissers, The Landshark Committee, Puppets For Hire, Slag and The Groovy Boys took the stage. Although the competition was limited to group performers, the night gave the audience a look into the bustling Binghamton University band scene, encompassing a variety of genres that are sure to have a little something for everyone. 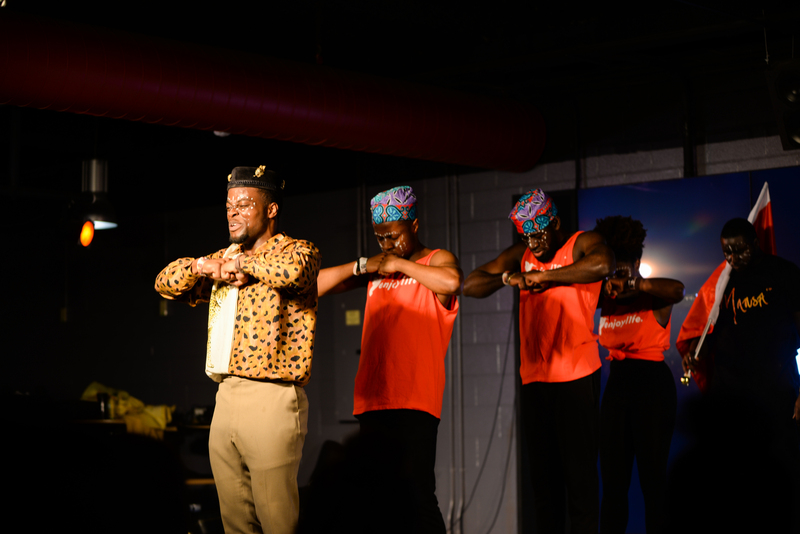 The event attracted a vast number of students regardless of their musical interest or background, the Undergrounds at one point almost reaching maximum capacity. Sam Beck, a freshman double-majoring in economics and philosophy, expressed enthusiasm for the event. “I thought it would be an enlightening cultural experience, [and] a de facto time machine back to the ’70s,” he said. While some groups performed hard-rock songs, other groups, such as Cadence, covered popular songs like “Still Into You” by Paramore. Beck expressed that Slag, a doom-metal band, was his favorite. “I thought [their performance] was raw, tasteful and a tour de force,” he said. Over the course of three hours, students got to experience a mini-concert of sorts. The energy was upbeat, friendly and energetic, most people standing up to dance or mouth the words to their favorite songs. Many performers directly engaged with their audience, dancing along onstage or even stepping down from the platform to sing among the crowd. After all the bands performed, attendees were invited to vote for their favorite acts with their phones, their choices considered alongside the opinions of three judges. As the clock neared midnight, band members from every group surrounded the platform and waited to hear the final results. After much anticipation, The Groovy Boys, who performed a cover of “Burnin’ Up” by the Jonas Brothers among other songs, were announced to open for the Spring Fling headliner. Natural born kissers was chosen to open for the Student Stage, this year being their last as a band at BU. 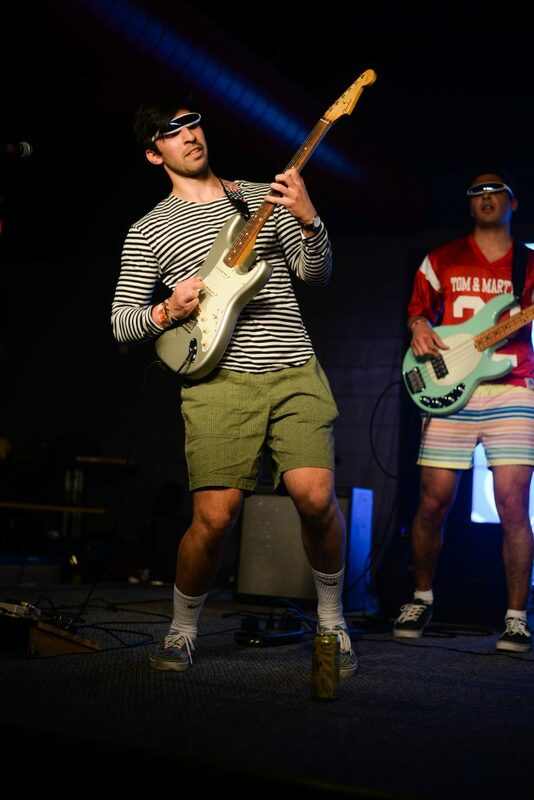 Ben Palmateer, lead vocalist of The Groovy Boys and a junior double-majoring in political science and music, revealed the amount of hard work and practice it took for his group to perform at Battle of the Bands. Considering over 100 potential songs to cover, the band eventually decided on choosing one that would be appreciated and recognized by many. Palmateer also emphasized the importance of stage presence and audience reception. “We could have played more originals, and we could have played covers that we like more, but at the end of the day, I think it’s about how people receive you,” he said. Overall, Battle of the Bands was a high-energy and jam-packed annual event that was enjoyed by many. Palmateer, a veteran in the BU music scene, reflected positively on this year’s battle.